Use Revitol anti aging cream or solution and your quest to have a skin that is 10 year's younger and without any age spots, fine lines or wrinkles can come true. 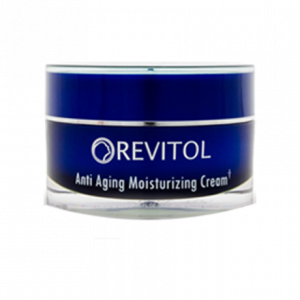 This anti aging cream by Revitol addresses aging problems like dryness, patchiness, unevenness, sagging skin besides wrinkles quickly and efficiently. The cream promotes collagen production to regain elasticity that your skin once had. The age spots are the first ones to lighten up followed by fine lines and wrinkles. Most powerful natural ingredients are used in this cream to firm, hydrate, and tighten facial skin. 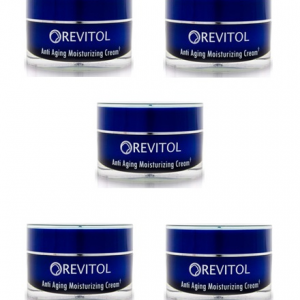 You will love the skin you get after you have regularly used the anti-aging cream by Revitol. Revitol Anti-aging cream and serum is widely spread over the globe today because of its highly advanced solution and natural ingredients. The anti-aging cream by Revitol can eliminate almost all the aging signs like wrinkles, saggy skin, pigmentation and fine lines. 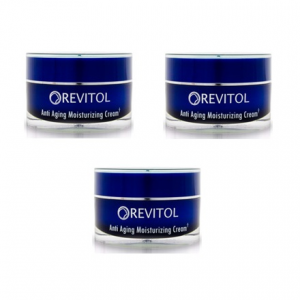 Revitol Anti Aging Moisturizing Cream and Serum is the newest find on the block. It encourages collagen formation which brings the lost elasticity of skin, you look much younger than your present age. Other signs of aging like uneven skin tone and dark circles also get reduced. The Revitol anti-aging products in this kit work to make your skin more toned and taut besides hydrating. It makes skin look more smooth and supple. The visible signs of aging start smoothening out with its regular use. There are no side effects and it smells good too.